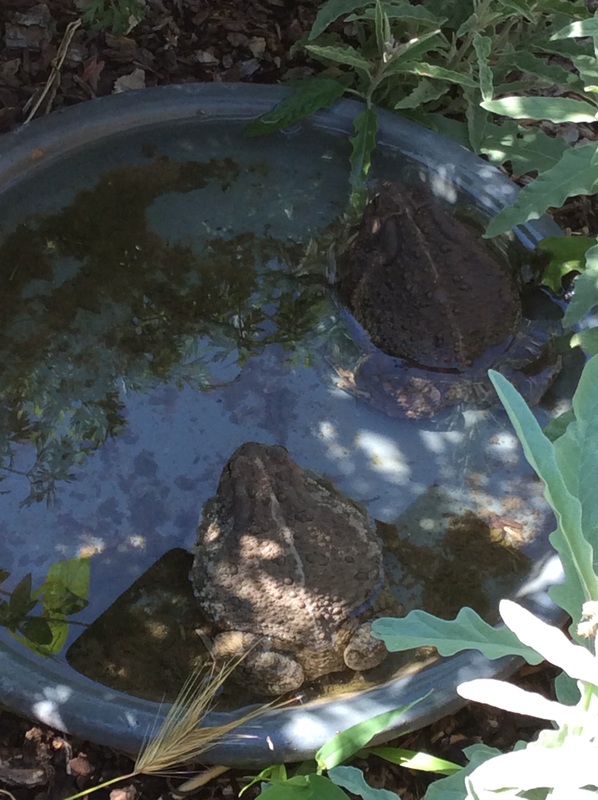 One of the lovely fringe benefits of gardening organically is that you support a lot of wildlife. 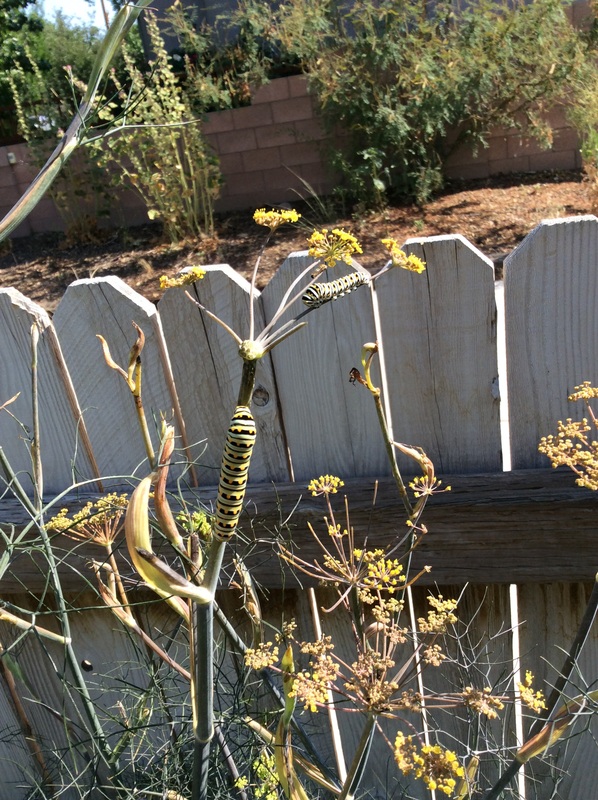 Just this morning when I went out to inspect my garden, I noticed anise swallowtails around the flowers and their caterpillars on the fennel. Coyotes pass through my yard (had to have the chickens’ run roofed over,) red-tailed hawks soar overhead, Cooper’s Hawks hunt among my neighbor’s trees, bees of all kinds visit the flowers, whiptail lizards scuttle among the plants, and sometimes a huge raccoon comes around to stare longingly at the chickens. Under my feet untold billions of microbes churn the soil. 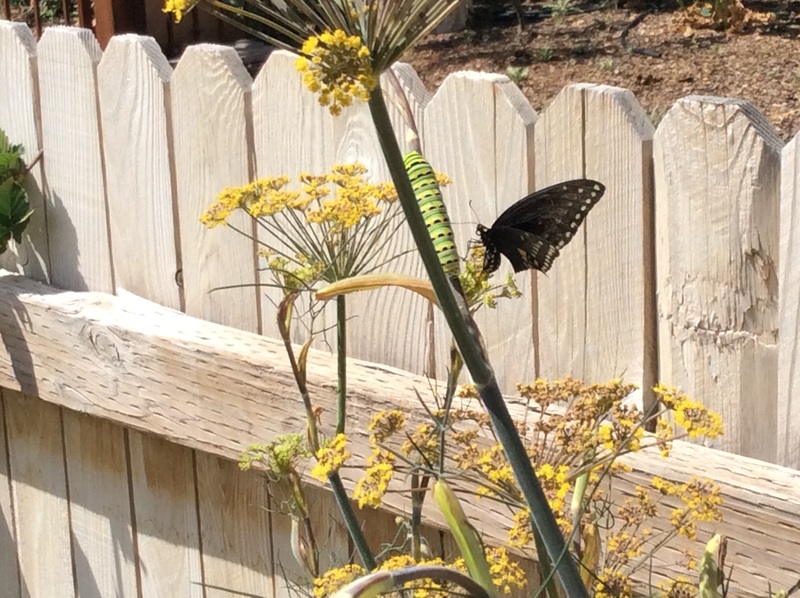 Invite Nature to dance and she’ll take you up on it.